As a BMW fanatic, I find myself always asking one specific question to fellow BMW owners: "Have you always been a BMW guy?" The answer has come in many forms: "My father drove my mother home from the hospital in a 2002, just after I was born," or perhaps "I stumbled across a $500 E30 when I was 15, and it's been downhill ever since." Stefan Djuric's answer came with a different tone. 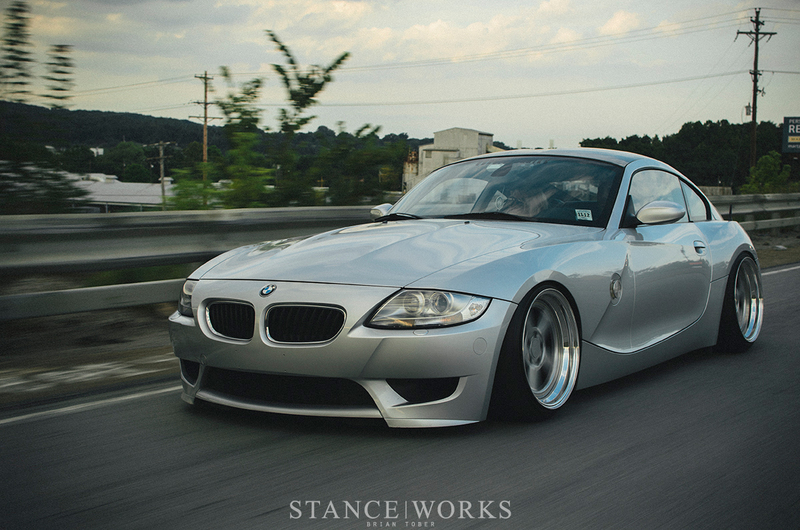 "Well I honestly used to despise BMWs. When I sold my GTI, I searched for a car for over a year. I was looking at all makes and models, except for BMW." But like all good stories, his too has a plot twist, and luckily for us, it is right at the beginning. Everything changed when Stefan's friend was aiming to purchase an E46 M3. Stefan went along to see the car, and on his own merit, decided a test-drive was in order. "I instantly fell in love. The handling, noise of the s54, and feeling was totally different than any other car I had driven." Surprising? Hardly, if I'm honest, but I digress. From that day forward, Stefan's car search took a tight 180•, with the E46 M3 as the center of attention. Stefan was selective, and not wanting to settle for a less-than-perfect car, he found himself facing disappointment after disappointment. Stefan didn't limit his searches to cars for sale - instead, he felt that everything has a price tag, and his eyes were set on a particular car. 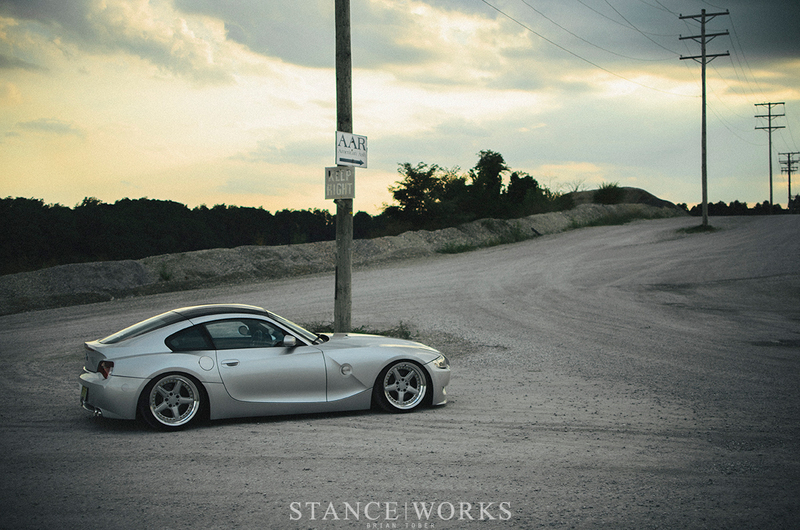 "I had seen user Hinrichs Alpine White M3 on StanceWorks from time to time. It was the perfect combo. 2005 Alpine White M3, on a cinnamon interior, with 40,000 miles on it." Stefan pushed and pushed, sending Hinrichs messages on several occasions after mentioning that he might be willing to part with the car. 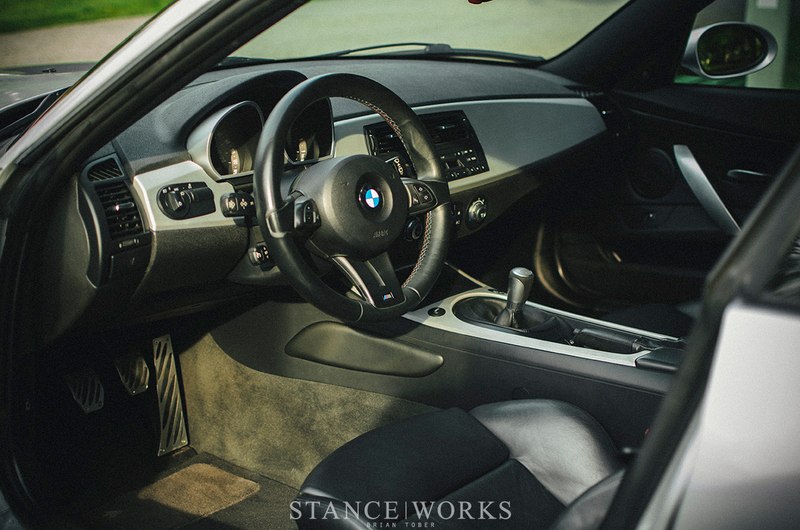 After months of borderline harassment, Hinrichs gave in, and Stefan finally found himself in the car he desired - a strong conclusion for a man whom at one point had no desire to even own a car with a roundel on the hood. A white E46 M3, however, is not a silver Z4M, meaning that there are a few more steps in the story before we arrive at today. Unfortunately, a rogue driver on a redlight running spree (or perhaps an simply an inattentive driver, if you prefer realistic stories) totalled Stefan's gorgeous M3. A $26,000 payout from insurance meant that Stefan's options were open, yet the allure of the S54 held on to Stefan with a tight and unrelenting grasp. 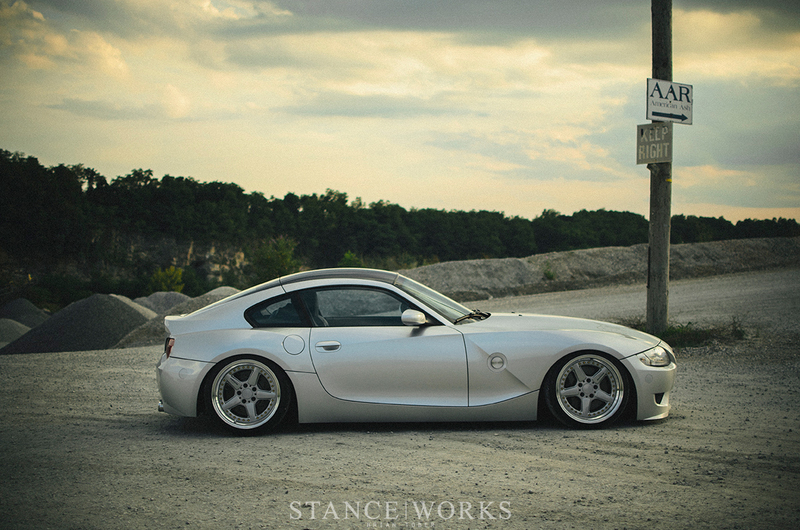 The Z4M Coupe had been calling his name for some time, and he knew that it was his chance to make the move. "Sure, any 335i can be faster with a simple JB4 tune, but nothing sounds and pulls like an S54 does. 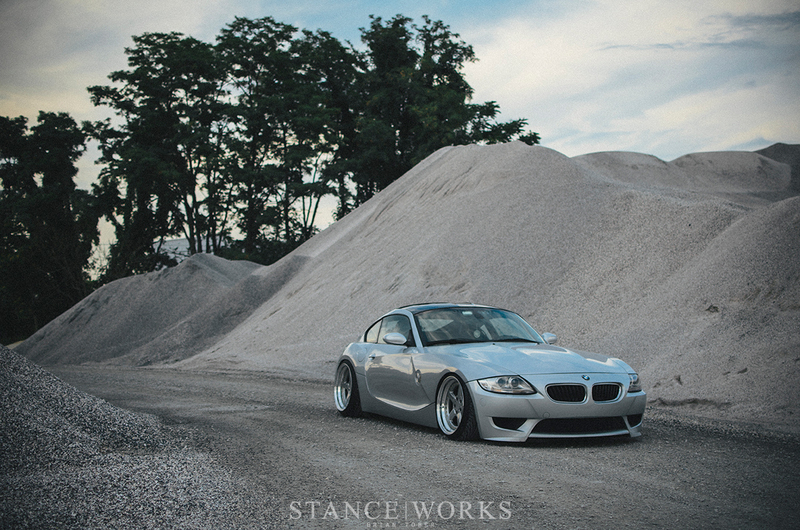 That, along with almost every CSL goody such as the tighter steering rack, 348mm 2 piece floating brakes, and sway bars, along with weighing 200lbs less than an E46 M3, this was the perfect car for me." Stefan was in a rush to purchase a car: he had to commute to school, NJIT, where he is pursuing his professional engineering license as a civil engineer. He had been behind the wheel of a rental car for nearly a month, and patience was wearing thin. Finally, a car came up for sale not too far away, at a Chevrolet dealership of all places. 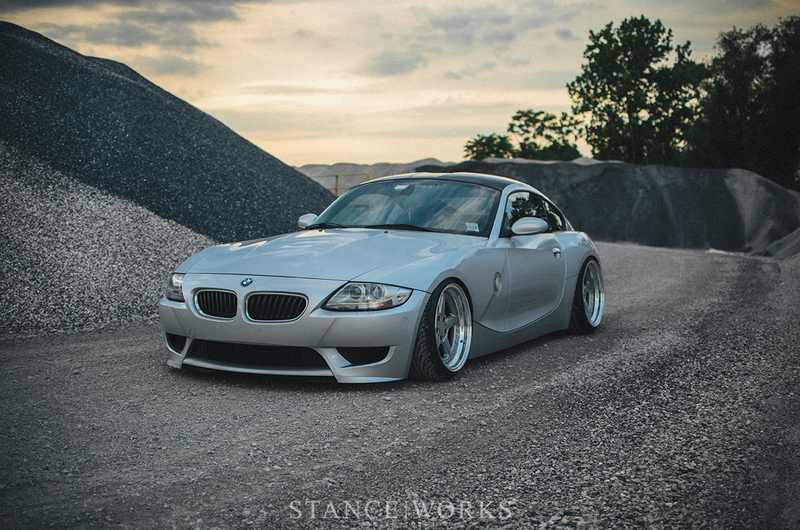 The car was titanium silver, a color Stefan previously hated, yet felt was inarguably perfect for the sharp, aggressive lines of the Z4M. 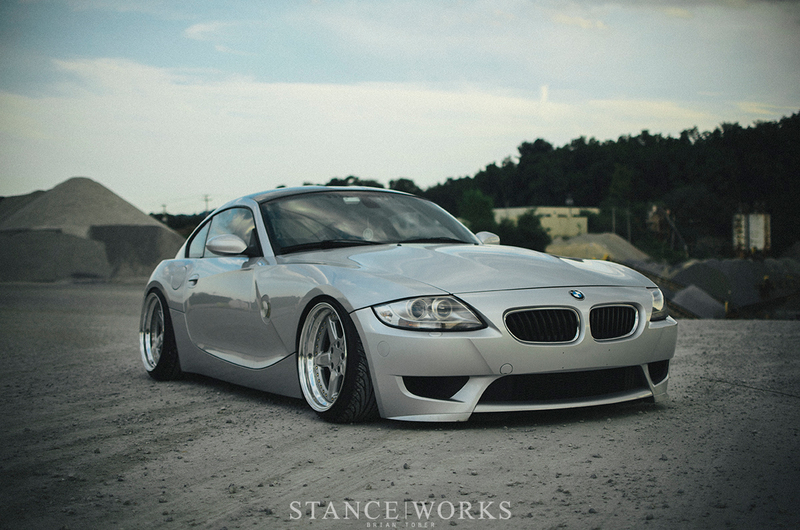 The CarFax report showed that the Z4 had been serviced at BMW since day one, which prompted Stefan to take a look at the car. The car presented a single ding and scratch, and was otherwise perfect. Stefan even inspected the car on the lift and couldn't find anything wrong with the car. The asking price of $29,999 was of course more than Stefan wanted to pay, yet he knew that because it was a Chevy dealership, they wanted the car gone, and made a firm offer of $25,000. After lots of negotiating, the price was settled at $25,550 - an almost even trade out for his previous M3. Stefan made quick work of the car, making changes almost immediately. For the exterior, he kept it subtle; the styling of the Z4M was nearly perfect as is, with only one major fault: the audacious side-markers. 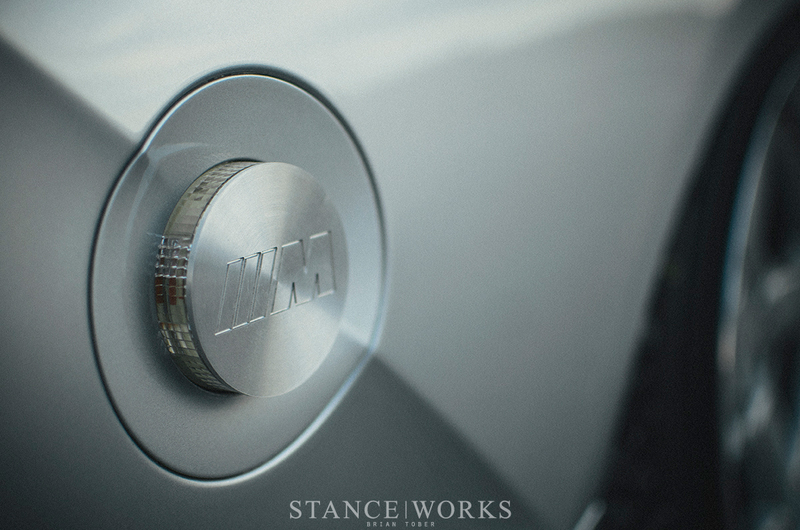 With the help of a machinist friend, Stefan designed and built raw aluminum replacements, a finish that proves complimentary to the metallic color that coats the body. Additionally, he wrapped the roof in gloss black vinyl to provide a simple bit of contrast. 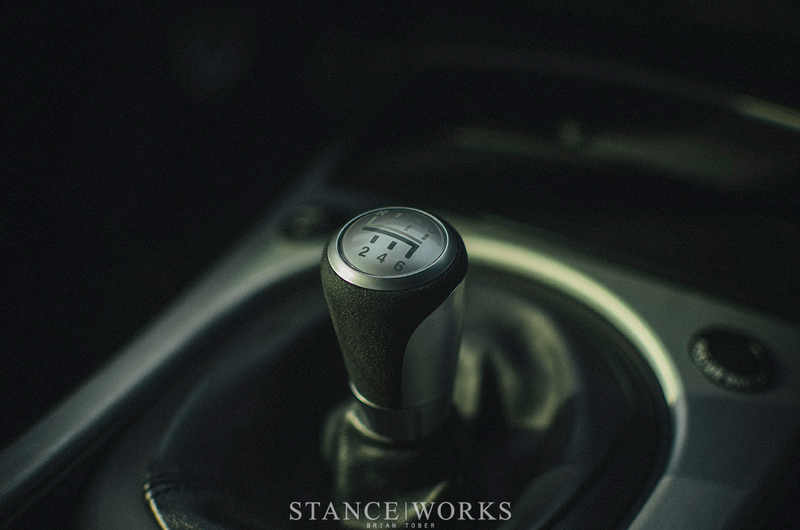 Inside the car, a BMW Performance shift knob and pedal set seem stock yet elegant. 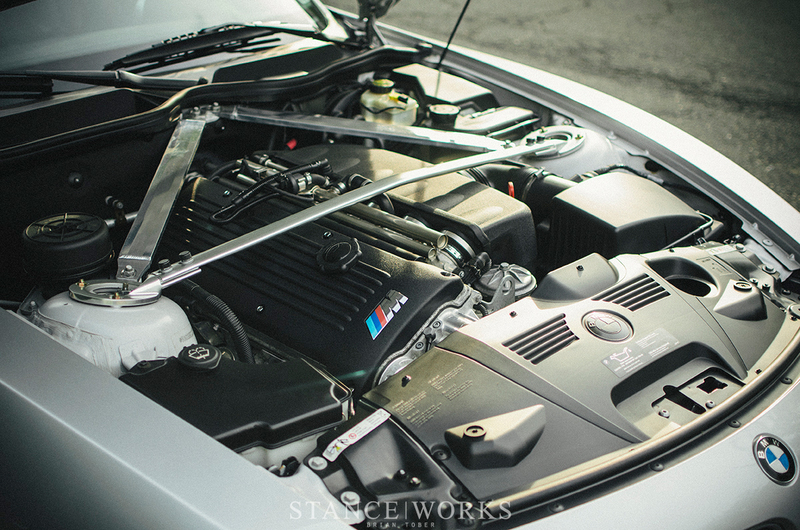 To increase the howl of the award-winning S54, Stefan opted for a set of Supersprint Stepped V2 headers, which route the exhaust out and down through a pair of custom-modified Meisterschaft E46 M3 catless mid-pipes, and out through RPI mufflers. An Evolve-R tune works in unison with the custom exhaust system to provide a few extra ponies, giving Stefan an appreciated yet perhaps unneeded boost in power. Under the car, Stefan has made a handful of changes, starting with the Broadway Static coilovers. The springrates tally in at 17k in the front and 20k in the rear. Turner camber arms and Powerflex rear trailing arm bushing help dial in the tail end, while a BMW Performance front strut bar tightens up the front. Cosmo Racing stress bars help pull the whole package together, giving Stefan a Z4M that handles even better than before. After just one track day, he's already itching for more. It's with the wheels, however, that Stefan takes the most pride in. 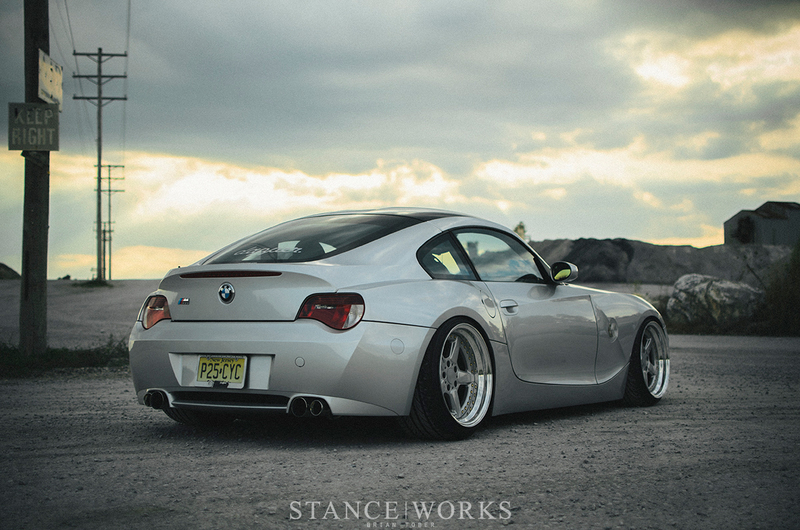 The 18x10 and 18x11 AC Schnitzer Type 2s compliment the car perfectly, taking on an air that is decisively "OEM-plus." 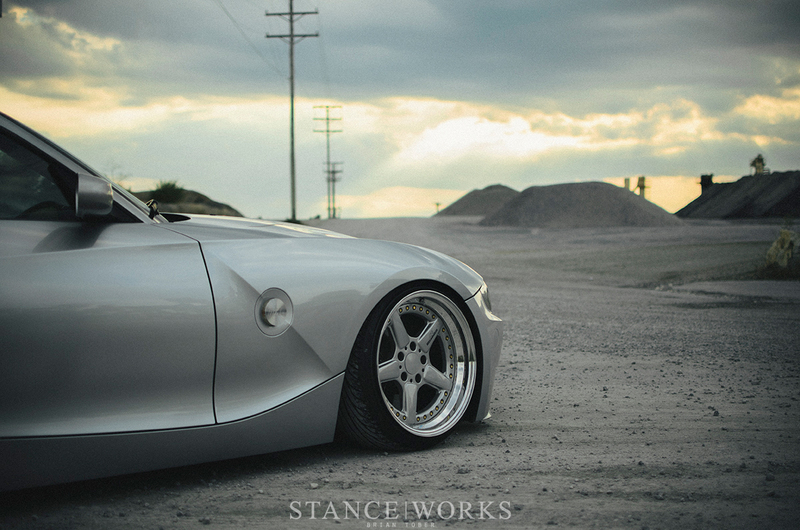 It's likely that any member of the StanceWorks forum is familiar with Stefan's name and his passion for quality aftermarket wheels. 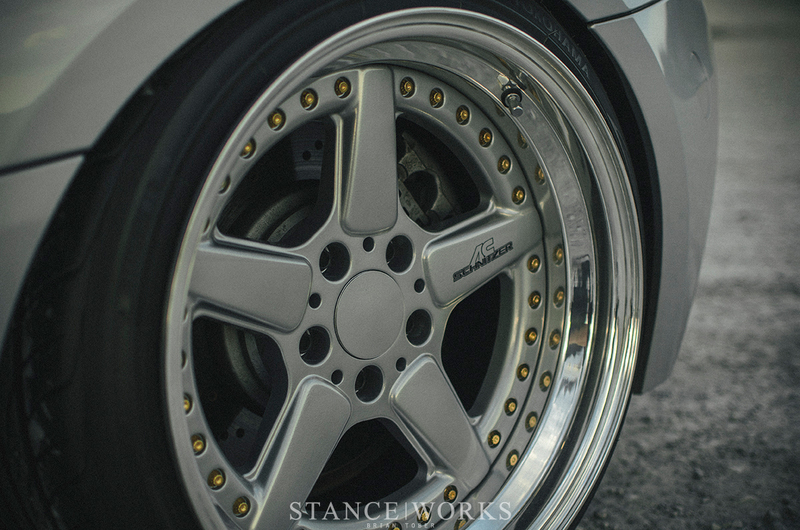 "It all started when I bought my Work VSXXs for my M3. I took them apart, rebuilt them, and have been hooked ever since. I had always taken things apart and put them back together as a child; 3 piece wheels came natural to me." In a sense, it's like legos for men, yet shinier, more respectable, and not as bad to step on. Unsurprisingly, it's the rare stuff that really gets Stefan's blood pumping. He's been collecting rarities for some time now, including sets of original BBS turbo fans, original 18" RSs, and some original 5x120 Work Equips, a set he was happy to go on about. "I had original 5x120 Work Equips on my M3, which may not sound like much, but they are very rare. Some people may wonder why I care so much that they are original 5x120, when redrilling a set to 5x120 is so easy..." Stefan puts it bluntly, in a way only fellow wheel enthusiasts may understand. "...Well, they just don't understand." Yet wether or not it's logical, it's his enthusiasm for such oddities and novelties that proves inspiring. "Having something original, that was meant for a BMW, and restoring them and running them on my newer car, its what I love doing." Building 3-piece wheels has turned into a bit of a small business for Stefan. He's teamed up with a local machine shop and powdercoater to turn his passion into income, a move some recommend against, yet one he found irresistible. From sourcing lips and barrels, to recovering wheels from craigslist and restoring them to as good as new, Stefan does it all. "I enjoy it so much, that I often do many things for people for free." The plans for the Z4M are far from done - Stefan has every intent to supercharge the car in order to build upon the linear power of the S54. He's also got a slew of wheel options in store, ranging from custom 3-piece BBS RS2s to a very rare set of 18" OZ Breytons. A new paint job, or perhaps a full vinyl wrap will redefine the exterior, and a set of Recaros will complete the inside. Best of all, Stefan plans on doing every bit himself. "My father has always done everything himself. He wanted to retrim some leather seats, so he bought a $2000 sewing machine, watched some youtube videos on sewing and retrimmed the seats better than oem. I always admired him for that, and always try to do things on my own." When it came to his GTI, his desire to shave the hood and bumper notches lead to research and a do-it-yourself mentality that came directly from his old man. Even the welding. "I was proud of myself, and although I let my father paint the bumper and hood, it felt so good knowing that I did it." One way or another, we admire Stefan's desire to improve, refine, and perfect, all by his own hand and mind. We're eager to see what's next. Just ONE track day? The tool posted all over the m3forums that he had like 5 under his belt. Ugh! This one is so raw! Together with the ACS type 2’s… Bravo!